The following is a list of other books and publications that might be of interest to those seeking information on local history around Basildon. Please note, the list is far from comprehensive and even some of these titles are becoming scarce but can serve as a guide to what is available. 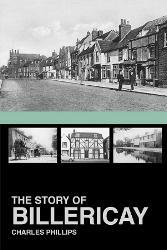 A detailed history of Billericay from Pre-Historic times to 2012 using original research. Fully illustrated. 128 page comprehensive account through pictures, of the history of Billericay. 360 illustrations, many featuring High Street buildings long since demolished. 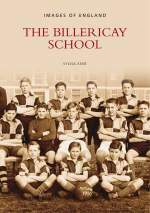 128 page history of Billericay School. Fully illustrated. 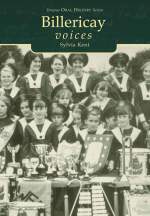 128 pages of stories of 20th century Billericay by the people who live there. Over 80 contributions from locals and those with past connections, in 10 varied chapters backed by 103 b/w photographs. 128 pages with 320 colour & b/w illustrations. An account of the destruction of the German Airship L32 brought down over Billericay during World War One. Fully illustrated with drawings and pictures taken at the time. Revised edition of a booklet first published in 1969 called "An Historical Survey of Billericay and District". Early account of Billericay. Hardback edition.